An elegant woman walks into a bar. She sits at a stool and scans the labels of the bottles in front of her. Suddenly a man appears, dressed in a sharp navy suit. He’s holding a couple of glasses of a spirit on ice. He passes her one and she smiles appreciatively. They clink glasses and each take a sip. This might be a bad fictional example of alcohol advertising, but it perfectly demonstrates a sense of occasion. No other category owns occasion like alcohol. Imagine how tough it would be to write a similar scenario for a cleaning product and how less exciting the result would be. This isn’t the fault of cleaning products. Life doesn’t just happen in swanky bars. There are times when people need to clean their bathrooms too. Compared to other products, the moments associated with alcohol are just fundamentally more aspirational, more pleasurable and more fun. Occasion is alcohol’s greatest strength and remains its greatest opportunity. Take past ad campaigns from Fosters. 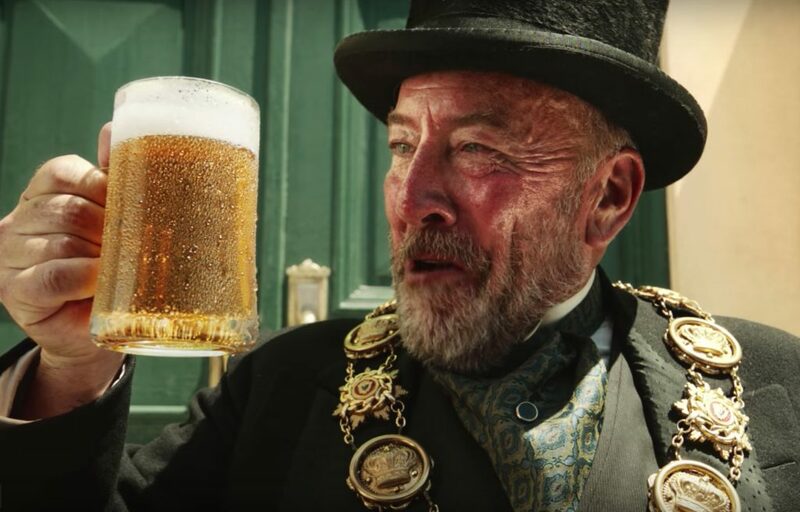 Whether it’s Paul Hogan delivering Australian witticisms in a pub, or the founders delivering the ultimate refreshment to a thirsty town in the 1880s, or two men sitting in a beach hut delivering phone advice to incompetent Brits, Fosters’ best advertising has always communicated a moment for their audience to aspire towards. You could be as cool as a wisecracking Australian film star. You could be as refreshed as those townsfolk one hundred years ago. You could be as assured as those two men hanging out in a beach hut. With the pressures of sales targets, product innovation and new trends circling, it can be easy for alcohol brands to forget how important occasion is. It’s why so many use product placement in music videos and films. For some, seeing Pitbull sipping Voli vodka in a nightclub is enough to drive brand consideration. They’re buying into the occasion as much as the brand. The occasion of alcohol is only becoming more important. The rise of social media has meant people are sharing more of life’s smaller moments. We have the opportunities to broadcast our entire lives to the world. A beer in front of the TV is an opportunity to show off. In that moment, rather than defining themselves on Instagram with a Carlsberg, people are turning to craft beer. Look at the recent trends in the alcohol category and you could argue they are all driven by the growing importance of occasion. Premiumisation, low or no alcohol, food pairings – they all relate to what people aspire to in a particular moment. There are also other forces at play here to consider. In general, alcohol drinkers are loyal to their favourite brands. A Nielsen study from 2015 found that 60% of spirit drinkers, 48% of beer drinkers and 43% of wine drinkers purchased only 1-3 brands of their drink of choice that year. 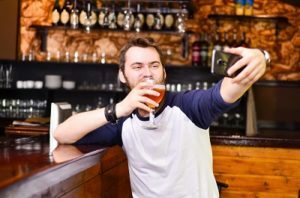 Such is the strength of connection between alcohol and occasion, people tend to rely on reflexes when faced with a decision. 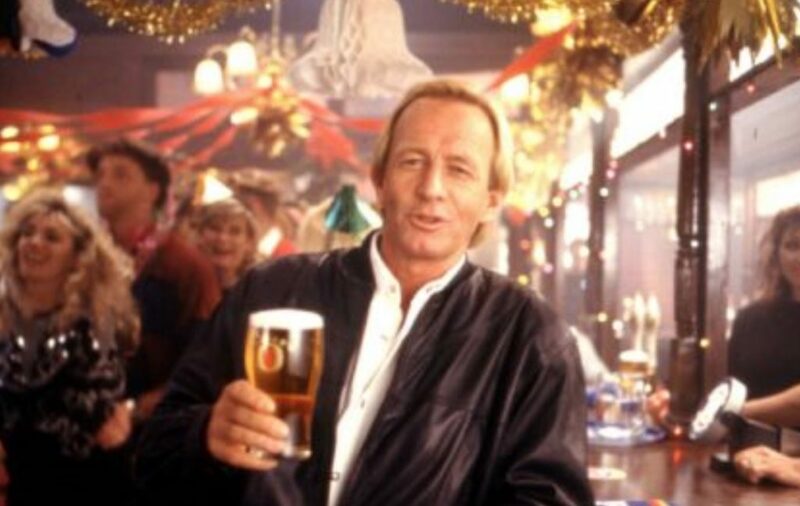 The pint in the pub afterwork is a Peroni. A wine in the restaurant later is Merlot. The bottle of spirit bought for sipping at home is Jameson. With alcohol in particular, people need more to snap them out of their habits. The way to do this is provide a more attractive alternative to the current occasion they have subscribed to. 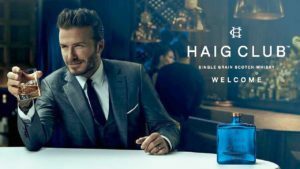 This provides a clue as to why experiential marketing has become such an essential tool for alcohol brands. The right experience can shake people out of their habits. 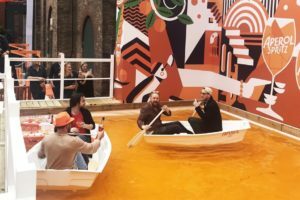 Last summer, Aperol didn’t build their Big Spritz Social activation, complete with an Aperol boating lake, to just sell a few hundred cocktails. Experiential can build long-term relationships between a drinker and a brand. The investment is well worth it if those relationships last for years or even decades. Some products need to be experienced before purchased. Customers need confidence in the taste before buying, especially as the products become more premium. Sampling in the right context is a great way of shaking people out of old habits. 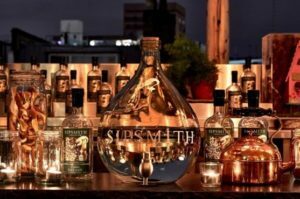 Sipsmith’s hot gin roof activation at the Ham Yard Hotel is a fantastic example of an immersive sampling campaign that used the product in tandem with amazing surroundings to create a wonderful sense of occasion. The power of occasion also explains why so many alcohol brands invest heavily in festivals. The festival experience is the embodiment of the occasion many alcohol brands want to be associated with. 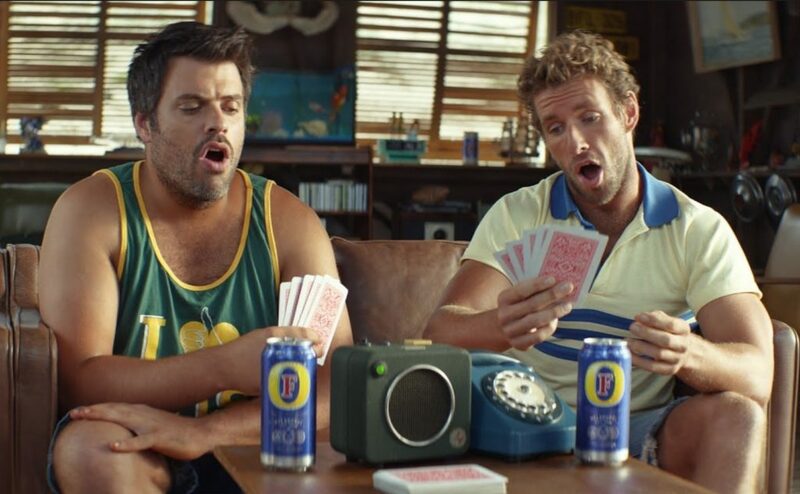 As punters escape from their lives in the real world, brands are on hand to showcase their connection to the occasion. And the next time those people fancy another escape, the brands will be waiting for them in their local supermarkets and pubs. What can alcohol brands learn from this? The first thing to do is think about an occasion to be associated with. Is it that first refreshing sip at the end of a working day? Is it the perfect accompaniment to food at a dinner party? Is it the late-night shot ordered in a nightclub? The decision should be driven by the wants of the audience. Are they sharing their life on Instagram? Are they grabbing five minutes “me time” once the kids have been put to bed? Having empathy towards an audience and understanding what drives them helps brands become connected to an occasion which ultimately drives loyalty. Experiencing that occasion can be the only way to bring certain drinks into people’s lives. Article by Vaughan Edmonds is Planner at global brand experience agency Sense. 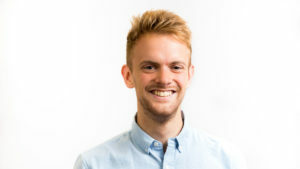 Vaughan Edmonds is Junior Planner at global brand experience agency Sense. The Oxford University graduate held a range of marketing roles before joining Sense in 2017.